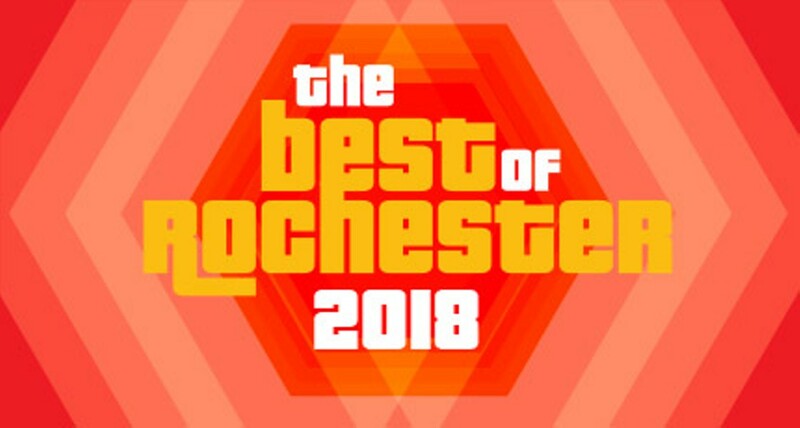 Welcome to the final round of CITY's 2018 Best of Rochester. Earlier, we asked you 100 questions designed to test your knowledge of all things great in Rochester. Some of your answers were thoughtful, some hilarious, and a few were scary, but in each category we selected the top four responses. Now you'll see those same questions, only you'll presented with four answers to choose from (five if there was a fourth-place tie in a category). But we at CITY don't want this to be too easy, so players, we want to offer you a challenge. Before you buzz in with your answer, think about whether it's really the best choice. Is there a Mediterranean place on the list you've wanted to try but haven't? A secondhand store you've never been in? An Instagram feed you've never scrolled through? Give something new a try, and then see if your initial choice is really your final answer. You have until 5 p.m., Friday, October 12, and then time's up. You can vote by choosing the best in at least 30 categories. The results will be announced Wednesday, October 24. Be sure to follow CITY Newspaper on Facebook, Twitter, and Instagram for Best of Rochester updates. And let us know you're playing along at home with #bestofroc18. And if we flubbed a question, let us know at themail@rochester-citynews.com. The questions are on the board. Let's play. Take the poll at https://www.surveymonkey.com/r/bestofroc2018.